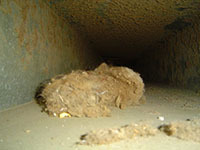 Having Your Air Ducts Cleaned Improves the Indoor Air Quality of Your Home or Business. 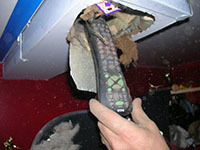 Your air ducts are major collectors of dust, dander, dirt, and other harmful contaminants. These particles pollute the air and trigger allergies. Advanced Air Care offers a complete air duct cleaning solution to help you maintain a clean, healthy, and comfortable living environment. Why Choose Advanced Air Care? You and your family spend the majority of your time indoors, so it's important to enjoy the benefits of air duct cleaning. Our residential and commercial air duct cleaning services, will remove dirt, dust, and debris from your air ducts, improving airflow to your heating and cooling equipment which can save you money! A picture speaks a thousands words. These before and after photographs are of a clients air ducts. 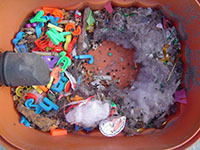 It's amazing how much debris can pile up in your ventilation system. Improve Indoor Air Quality. Schedule Cleaning Today Satisfaction Guaranteed! What's the Difference?